Upon viewing the CBS-TV production of The Grammys on February 15, 2016, I am reminded of a couple of encounters with well-known musical artists when I was still actively producing Reel People Review in New York City, many years ago. Once, while going through the JFK Airport in New York, with my various camera bags that spelled out names of radio stations, television companies, and movie companies, I had a long stare from none other than Smoky Robinson, dressed in his signature blue suit. I’m sure he wondered who I was. Another time, on a visit to Los Angeles, before moving to California, unbeknownst to me, I was booked in a very private hotel that housed many musical artists. One morning, upon seeing that the hotel had a pool that had just been cleaned, and no one was in it, I decided to go for a swim. So there I was swimming and floating along in my flower printed swimsuit. Reaching the end of the pool and going into a back stroke, a thin man approached the side of the pool with an amused look on his face. He looked like a Heavy Metal Musical Artist, but I didn‘t recognize him. He was dressed in jeans and tee shirt that spelled out, “Motorhead.” He introduced himself as “Phil,” and asked why I would be swimming so early in the morning? I replied, “Because it’s clean.” He roared with laughter! I continued to swim when another man approached the side of the pool with a beard and mustache, and stood next to Phil. This man introduced himself as Lemmy. It was clear to me that I possibly might have disturbed their sleep as they appeared to be housed in a first floor hotel room near the pool. I quickly decided to end my swim, feeling very intimidated. I had no clue that I had just met metal music royalty. The 2016 Grammys featured a memorial tribute by a newly formed band named, “Hollywood Vampires,” with artists Alice Cooper, Aerosmith‘s Joe Perry, Duff McKagen, and Johnny Depp, to Motorhead’s Lemmy Kilmister, who recently passed away. “Hollywood Vampires” has announced today that they will perform in Rock in Rio this September. The “Hollywood Vampires” performance reminded me of my encounter with Alice Cooper in a Phoenix Arizona airport, while changing planes to continue onto Los Angeles one year. I was minding my own business with my Philadelphia WMMR Radio station bag, full of camera equipment, hanging from my neck, and my other heavily loaded suitcases. I found a bench and sat down. Soon I felt the stare of a long haired man. He and his entourage stood near me. I recognized him as none other than Alice Cooper. After looking at me sitting with my media decaled bags, Alice Cooper sat down right next to me! Believe me this is one of my most memorable, awkward moments. Just think of the odds of this happening! Here I was, stunned by a major musical celebrity. I felt this might be a moment for me to be quiet and courteous. My thinking was that I must not disturb such a big star in an airport! I was feeling very torn, and I wanted to act appropriately. So to be on my best behavior, I chose to ignore him completely. What a laugh! 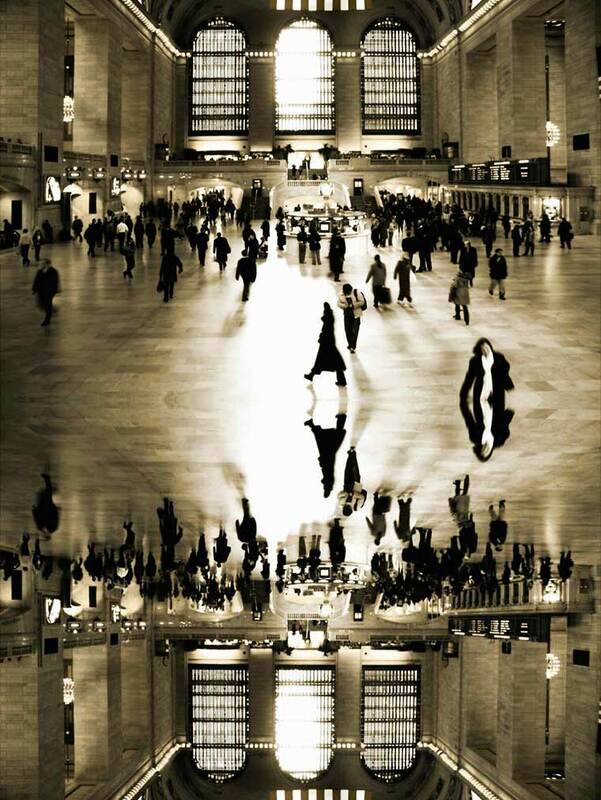 New York City is thought of nationally and internationally as the capital of the Art World. A casual walk east and west on 57th Street is a joy to behold. You may observe the many galleries, and fine items for sale in the many diversified shops that entertain the eye at each glance. Closer to 7th Avenue or Broadway, whichever direction you are walking or driving, stands a magnificent 1892 French Renaissance-designed building known as “The Art Students League of New York”. It is a world-renowned school that has encompassed the training of many professional and well-known artists over the last one hundred and fifty years. On January 17th 2016, Mr. Tom Mashberg, and Mr. Colin Moynihan, reporters for The New York Times wrote about the sale of League Air Rights. This article appeared in the Observer Culture/Art & Design Section of the Times. They reported the dispute between “dissidents” disputing the “Board” (the League governing body) campaign before the annual membership meeting vote to decide upon the sale of Air Rights. Some of the ASL membership believes the information given by the Board before the sale was deceptive. The Board is in favor of the sale of Air Rights over the League. This dispute will be resolved in The Appellate Division of the State Supreme Court of Manhattan. Last year my article about my years studying at The Art Student League of New York appeared in the League publication: LINES. LINES is “The Student and Alumni Magazine” of the Art Students League of New York. My article hints at the politics of fifty years ago. It appears the independent spirit of the art students/and membership, is still alive and kicking! Below is my article which appeared in LINES magazine, Spring 2015. Just for a moment, travel back with me to the really “hip” era of the 1960’s, when Camelot was playing on Broadway, and Elvis, in a larger than life poster, covered the entire width of one of the many movie theaters that once stood on New York City’s famous Broadway. I actually saw this poster installed, when his latest feature film was about to premiere. Young women were anxious to display their legs in mini-skirts, Twiggy was a hot model, and the Beatles were about to appear on the horizon. In 1960, I was a mere eighteen years old, and moved from the heart of the American South to New York City. I was the picture of confidence, even though I was completely naïve, alone, without any family, living in a hotel, and working to support myself. When I first walked up the front steps of the Art Students League, I thought I’d gone to heaven; it was my dream school. In New York City, as our generation was losing thousands to war in Southeast Asia, other young members of the Art Students League of New York, and I were on the cusp of rebellion. It took hold when the always independent League students hung an effigy of art instructor Frank J. Reilly out on the flag pole that overlooked 57th Street, dangling it along the façade of the building. This protest was in response to League students who did not want this “Realist” artist to dominate their own unique, artistic point of view. That year, the school term began as usual. I went into the League office and was warmly greeted by Rosina Florio, the school registrar, who had previously reviewed my portfolio of artworks. She handed me a catalog so I could choose which instructor(s) I thought might be appropriate for me. After registering, I looked at the artwork by students of Howard and Willa Trafton; I liked what I saw. I also signed up for Edwin Dickinson’s class and soon noticed paintings by his students that were very black. That was a far cry from what my decided direction was at that time. Mr. Dickinson retired during my years at the League. My first day walking into Mr. and Mrs. Trafton’s class was a bit nerve-wracking because I was his youngest full-time student. I sat down next to a friendly man named Calvin. He would later become one of the founders of the famous restaurant Serendipity. He welcomed me to sit at the long rectangular tables arranged in a U shape in that first floor studio. Sadly, Calvin L. Holt, an absolutely wonderful artist, passed away too soon in life. This was the setting as Mr. and Mrs. Trafton arrived on my first day of classes that beautiful, crisp, autumn morning. Mrs. Trafton wore a vest with a white puff-sleeved shirt fastened at the neck with a cameo pin. She wore black leggings and a long skirt. Mr. Trafton was her equal in a starched white shirt with gold cuff links, a red and blue tie, and a fabulous silver buckle. He giggled when he saw my incorrect perspective drawing and his smile was infectious. Well, that was it! I knew that the Traftons were going to completely transform me into an artist. This had been proven many times before, as they were championing students as Saul Bass, who grew into a confident and celebrated film artist, as many others did in film, advertising, textile production, and television. My father, who was a journalist and magazine editor, often traveled on business to New York City to meet with his advertising manager, so he was able to keep tabs on me. He knew of Trafton Script and told me that nearly every publisher was familiar with his original style. I marveled as my wonderful, charming dad delighted at meeting Mr. Trafton; it was all smiles. I believe my father was completely confident about my living in New York City after that meeting with Mr. Trafton. I remember Ms. Lisa Specht, who was in the textile business, periodically asking the Traftons for their opinions and sound advice. She was also a class monitor and later became President of the League. She was always very supportive of me, and I appreciated the positive feedback from such a successful woman. In the early 1960’s, it was very rare to find successful women in business. My next class choices were with Julian Levi and Marshall Glasier. Mr. Levi often discussed art with Mr. Trafton and dressed in beige paint-spattered smock, revealing a tie on a crisp white shirt. He had a twinkle in his eyes and a bemused expression almost continuously cemented to his face. He was quiet, and spoke to his students in an almost secretive manner. However, he was very outspoken about his star students. No, I wasn’t one of his best students, nor was I the worst. Marshal Glasier always had a very amusing demeanor with his students. He was never very far from telling a joke or some extraordinary story. I liked his class, but my true ambition was not black and white ink drawings. I also studied with Robert Brackman, whose painting of a young woman is seen in the Joseph Cotton film, “Laura”. Mr. Trafton didn’t really want me to have classes with Mr. Brackman. He counseled me that I would be “ruined” if I started painting in the Brackman Style; and he did not understand the Brackman “Cross-Hatching Color” Method of painting. Mr. Brackman thought his style had lots of color; I didn’t. I actually attempted to describe the “Brackman Style” to Mr. Trafton, and he shook his head in dismay. I laughed to myself then, as I do now, recalling that conversation. Yes, I remember them all. I remember all of my instructors, and many of their famous students: John Cassavetes (independent filmmaker), Jean Patchett (iconic Vogue model and the wife of Irving Penn), Veronica Lake (American actress), Gordon Parks (photographer), and many others. Yes, the Art Students League of New York was an unforgettable, treasured experience; one that I will remember and keep close to my heart for years to come. To support my family and myself, many years ago, I had decided that Manhattan, a.k.a. New York City, was the only place for me to work. Each day, I would have to take two buses to Queens Boulevard, and then transfer to the subway into Manhattan. This routine is followed by many in the Borough of Queens, New York, which is usually a trip of an hour and a half or more. One very cold and overcast day, I was on my way into Manhattan when there was a commotion at the “59th Street Bridge” or “The Bridge” (as native New Yorkers call it, instead of “The Queensboro Bridge”). I could feel the wind getting colder as I climbed the open aired stairway to the lower level platform, and awhile later, more people were right behind me. The streets below were still slightly covered by snow that was made dirty brown from dogs, cars, and people. All of a sudden, the elevated subway trains were being stopped and a conductor on the lower level platform was shouting into a megaphone. He yelled, “Everyone get out of the way! There's a Police Action!” There was barely anyone in sight when another train conductor on the lower platform shouted at me to go to the upper level platform fast. The stairs were relatively narrow, and hazardous. It was not an easy climb up those steps in winter. One had to be cautious not to slip or fall from unseen ice that would form on the metal stairs overnight after the snow melted and became frozen. I rushed up those steps to the upper level, along with other New Yorkers on their way to work, who were frantic to get away from what was a potentially dangerous situation. Looking over my shoulder and my heavy winter, coat with the hood, I could see a man running away from New York City department policemen, who were in hot pursuit of him. Not only were there New York police in pursuit, but I caught a glimpse of a couple of FBI agents in their identifying vests who were running alongside the policemen. It was shaping up to be one of those ‘fight or flight' situations with the fugitive. The fugitive was coming right in my direction as I made it to the upper level platform. I was out of breath and had to stop. The fugitive, a man of six feet or more with brownish hair, wearing a three quarters length, dark gray wool coat, black leather gloves and shoes was nearly upon me. Suddenly, without a second thought; I extended my right foot, and the fugitive toppled over. He fell onto the cold, hard, platform and was immediately jumped on by a FBI agent, whose revolver was clearly visible; a New York Policeman then handcuffed the fugitive. This done, they both turned to me with a grin on both of their faces, one saying, “Quick thinking, young lady!” Then the authorities rushed the captured man down the upper level subway steps into a crowd of several police officers. I learned later from news reports that this man was a Russian Spy. There are many that have claimed that they've met the Beatles. When they first came to the United States, these young men weren't universally known as well as they are today. Ever since those early days in the 1960's, as well as fifty years later, they are the band that literally broke the mold. I was familiar with the Beatles when their first single “I Want to Hold Your Hand” was played on local New York Radio Stations. I first became more of a fan when my boyfriend at the time, took me to his neighborhood bar where there was a jute box; it was there that I first began to notice that I wasn't the only one who liked the Beatles. Patrons of the bar were mostly young nine to fivers who spent their New York City nights at their favorite pub. Several of the guys told me that they liked Elvis Presley, and even pulled the plug out of the jute box when “I Want to Hold Your Hand” started playing. It is hard to believe that this could happen, but it did! There was nearly a fist fight over hearing the “Mop Tops” (a.k.a. “The Beatles).This was well before they became a phenomenal success. Fifty years later, despite losing George Harrison to Cancer and John Lennon to a maniac gunman, the band plays on in one form or another. One day, approximately fifty years ago, on February 9th, 1964, I was in New York City on my usual cross-town bus from the upper East Side of Manhattan when the bus came to a halt at the intersection of 59th Street and Fifth Avenue. It seemed the driver was stuck, but then everyone in the bus looked across the corner at Fifth Avenue, off of Central Park, past the horse drawn carriages, a fountain on Fifth Avenue, and beyond to the Plaza Hotel, where a small gathering of young men and women were looking up at a window of that hotel. Being curious, I got off the bus and walked across to join the group. I looked up, and there they were: Paul, John, Ringo, and George. The group below the Plaza Hotel windows consisted of all young people, and I was one of them. Soon, Ringo was floating notes down to us, telling witty jokes, and yelling to us to join them at the Ed Sullivan Theater for their big American Television Performance. We all went there and sure enough, the video of that famous Beatles performance has gone down in music history. Years later, on my television cable show, "Reel People Review", I appeared on camera in an interview with, Mr. Sid Bernstein, who brought the Beatles to America. Mr. Bernstein talked about them, and how he also brought The Rolling Stones, and many other musical artists to this country. Mr. Bernstein was responsible for the Beatles appearances at Carnegie Hall, New York City, and at Shea Stadium, Flushing, Queens, New York. In the 1950's my parents were happy to drive me to our neighborhood movie theater. They would drop me off at the small, very cozy, theater with the pretty trees outside on the main avenue of our town. I'd see the two Saturday afternoon shows for twenty-five cents. These were the new, just released, Saturday Matinée Shows. My favorite was a series named “The Phantom” which always ended in a “Cliff Hanger” so the kids would come back next week. Quite literally, “The Phantom” would jump off a cliff! I loved it! The seats were filled, mostly with children ages nine through twelve and a few parents. Yes, those were sweet innocent days where there were no threats of some maniac shooting a gun off in a theater. I welcomed the break from Saturday afternoon chores at home. That was part of my childhood; I'd spend the entire afternoon in the movie theater with popcorn. If I was lucky enough to have earned extra allowance money, usually for doing chores without being asked, I'd buy Good and Plenty Candy from the Concession Stand. Mind you, this was my only food for lunch. Usually, I'd pick a seat or two with no one next to me on my left or right so I could drape a jacket over them. If one or two of my friends showed up, I'd have a seat ready for them. One of those friends was a girl I've known since Kindergarten. Her name was Dorothy, but she hated that name so much that I was only allowed to call her Dottie. Dottie's father was a very bigoted man; her mother wasn't at all like that, fortunately. I've since adopted “Dottie” whenever I'm asked by a Starbucks' employee for a name. It's really in memory of her that I've said her name so many times, wondering if she could hear me up in heaven. Dottie passed away a couple of years ago from Cancer. Throughout her awful battle with Cancer, Dottie, would call me and tell me that her beloved husband Dave was busy in his vegetable garden near their farmhouse kitchen. Mostly, she sat in her favorite chair, watched television, talked on the phone to her many family members, and told me she treasured the “Orange Cat” painting which was across from her chair, that I'd sent her for her birthday. Cats and dogs weren't the only animals Dottie and I liked. While in High School, we had ridden horses, but not often on the same day. The end of my riding days came when a horse tried to brush me off in a forest (At the time, I lived on the East Coast). However, Dottie embraced her love of horses; in fact, Dottie ran a stable with her own horses, and gave riding lessons. We both knew how to “sit an English Saddle”… as it is called. For several years in our adult lives, Dottie and I had tried to find out where our other long lost friend, Kay was living. We both searched the Internet, but never did locate her. She was the trouble-maker of us three friends back in Junior High School, when her father's job brought his family to our town. I'm not sure why Kay had all these funny ideas about shaking up the regimentation of school. Perhaps, like us, we all had a little “Rebel Without a Cause” in us; or maybe, we thought we did. The other seat in the movie theater was for our friend Nancy. I've since found her living in Boston, where her father's job took him, her mother, brother, and sister, before I graduated from High School. Nancy was a talented child actress, as well as her brother Clay, who had appeared in the Broadway Production of “All Summer Long.” She, along with Clay, had attended the Children's Professional School, in New York City, as well as her baby sister Judy, during the short run of that play. I never did locate her address or phone number, and hope she is doing well in her retirement years. It was Nancy, who would give me her own “review” after the movies we saw on Saturday afternoons. She was very good at it I thought, and usually the one to say if we should stay for the second showing. I was always up for any excuse to stay for the second show. Who wouldn't? Lincoln Center stands on a property near the art center of the world, in New York City. It took the early 1960's to complete this huge complex. Still a beautiful experience to behold, the large rectangular canvases by Marc Chagall, surmounts the wide steps to the front of the main building. Years have passed, but I remember when the Philharmonic Hall of Lincoln Center opened to a Gala Event one warm Fall Evening. I thought of the evening of October 21st, 1962, or was it September 11th 1962? Well, anyway a friend of mine asked me if I had any pictures of me at that Gala. This was because I described my unexpected invitation there, and something spectacular to boot; more on this later. Yes, 1962 was a good year for me after having won the Byron Browne Memorial Scholarship at the Art Students League of New York. I was so delighted to be honored in a competition for much older artists than I. In fact, my favorite instructors warned me not to even attempt to enter the much sought after award. So enthralled was I at my win that I would happily walk up and down 57th Street to compare myself to Picasso or Cezanne. Can you believe the nerve? I can kick myself for not having bought a small Picasso painting for only $65.00. As it happened, in 1962, I was very fond of window shopping. I was standing in front of the Bergdorf Goodman Department Store on 57th Street and Fifth Avenue, when a young well-dressed man approached me. I was wearing a sumptuous Apricot Mohair Sweater over my pencil thin one piece chocolate brown dress, complete with military buttons on the chest and accessorized with deep brown spike heels and matching pocket book. This dress displayed my tiny 18-inch waist. Yes, with my long naturally brunette hair I looked like a model right off the pages of Vogue Magazine. The young man was dressed in a three piece suit with a gorgeous silk tie. He commented on my sweater saying he'd never seen anything like it. It was obviously a pick up line, but I have never had a more beautiful sweater. The man was well-spoken, and obviously well educated. He invited me immediately to the Gala at Philharmonic Hall. I declined saying I would have to change to a gown or cocktail dress. Since I did not own a gown, I decided on a spaghetti strapped black sequin dress that clung to my every curve. For this I would go home and meet him later at Lincoln Center. I then stood up, and turned to the audience, saying, “But…. I don't have any musical talent… (my hands outstretched to the sides of me) why would you want me there?” Then the crowd in all their finery, jewels, gowns, and tuxedos, roared with laughter. I was escorted on to the stage and basically stood model-like in front of the piano while Mr. Ellington continued to finish the musical set he and his band had started; the audience applauded. I will never forget that night, despite the fact that I do not own one single photograph of the event. For years on end I have written my friends. No, they're not emails. Instead, I have deliberately chosen to write to everyone I know the “old school” way. It's not just for holidays or special occasions such as for birthdays, graduations, engagements, weddings, and sympathy messages on cards. No, I write full length letters. This brings us to the point of sending cards for no reason at all. Isn't it nice that the people you sent a note to enjoy it? Yes, you see it is because everyone likes to be thought of and remembered in a personal way. There are no exceptions. Especially important is your own family members! Don't they deserve to know how you feel about them? It's so nice when I receive a call from someone who has just opened my note or card. Because of this, I have friends from elementary school to present day. Shocking to you who read this, Right? Well, over the years you get the perspective that it's not just you hacking through the rough bumps in life. It's a comfort to most. You never know when a friend will have something very helpful to add to a problem. It's endearing to know that someone has your back, and is so thoughtful. Ever wonder why you see so many senior citizens in card shops? It's because they are buying cards to connect with their children and grandchildren. It's a constant flow of cards to the families bringing up children. We all know it's the hardest job in the world; raising a family. A little note and a card go a long way. Most of the time, we forget that these small acknowledgments in life are really the big things in life. Thoughtfulness can never be turned down. Speaking of being thoughtful; the art of hospitality might be decreasing in some American states? Most noticeable, and in contrast, is visiting people on the East Coast and the West Coast. On the East Coast when you visit someone you are offered food and drink. On the West Coast you're lucky to get your host to offer you a drink of water! This was most glaring when I moved from the East Coast to the West. In my family, no one got out of my home without at least an offer of coffee, tea, cookies or cake, at the very least! Of course, if it was cocktail time, I offered real food such as cheese, dip, chips, grapes, etc. It is my feeling that no one should have liquor on an empty stomach! Maybe what I'm talking about is the need to apply courtesy in all areas of our lives. For example the guy who cuts in front of another driver when they are trying to get off the Freeway or Highway, whichever the case may be. What harm is there in checking all your mirrors, and if possible, allowing the other driver to move to the proper lane? Instead, of what I've seen, especially in the west, and what I call “California Attitude” is to deliberately speed up when it is obvious that the driver is trying to move towards an exit. Some drivers should make a note to themselves to consider the options. One day that selfish driver may find he/she is not going to be treated exactly the way they want? If you, the reader, don't agree with me please be my guest, and express your thoughts. Your responses will be welcome anytime. Maybe, you've had different experiences than mine? So, do a good deed today, and tomorrow it will come back to you. It works every time. You never know when your note or good will might mean the difference in your life. One such case was when I stepped aside for another student in a scholarship situation. The girl I did not know at all well, but it was clear to me that she was not going to get the first place scholarship she deserved, and I did not. I threatened a school administrator saying I would go over his head and expose the fact that I was not deserving of the first place scholarship. Imagine his dismay! The day after my declaration of forfeiting my scholarship; I heard from the girls' mother. The mother happened to be the head of personnel at a huge company. I was offered a job right then and there because, the mother of my friend at school was so impressed that I would not allow discrimination to win. I spent several happy years at that job. So you never know when courtesy, good will, and little notes will have great positive effect. All images and budgets are property of Dulcy Brightman and Dulcy Productions ©2012-2017. Any use without written authorization is strictly prohibited.